A spear originating in Heide. A special alloy makes it very durable. Heide Knight (Lost Bastille only) drop - guaranteed. Heide Knight (Sinner's Rise only) drop - guaranteed. Heide Knight (Heide's Tower of Flame only) drop - very rare. Same as the Stone Soldier Spear. The knights in Lost Bastille and Sinner's Rise that drop the weapon cannot be respawned with the Company of Champions Covenant. 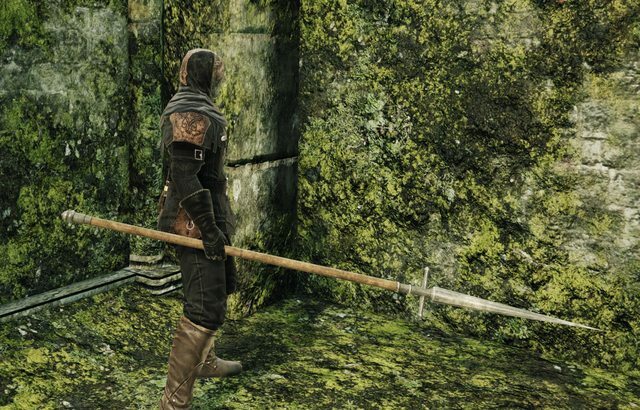 Only using a Bonfire Ascetic on the Exile Holding Cells Bonfire (Dark Souls 2)/The Saltfort Bonfire (Scholar of the First Sin) or actually going into a New Game cycle will respawn them. 1. 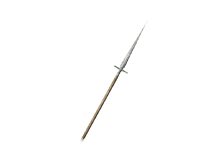 It also has a chance to drop any piece of the Heide Knight Set on Bonfire Intensity 2 or higher so it might not drop the weapon. 2. To Power Stance this weapon, only 18 Strength and 37 Dexterity is required. 3. When two-handing this weapon, only 6 Strength is required.